FindItMore | Sarees are Indian garments worn by women and has been in existence for centuries. It is a piece of cloth that could vary in length from about 5 to 9 yards. It is draped around the waist and on the shoulder. There are many styles to this draping depending on which cultural background one might follow. As India is rich in diverse cultures, these draping styles are inspired by various regions. The Gujaratis and the Bengalis have very different styles of draping, because the Bengali style does not involve pleats. This is just to state one of the many unique features that give the individuality each of these styles. Even outside the Indian subcontinent, sarees are prominent. These are in the neighboring countries like Pakistan, Bangladesh and Nepal. These countries used to be a part of the Indian subcontinent and therefore the influence of this garment in their culture is only natural. There are many types of sarees categorized mainly by the material and how they are worn. By material, there are numerous variations. The most popular of these worn for special occasions is the silk saree. The options in silk sarees range from the Assam Silk saree, Banarasi silk saree, Kanchipuram silk saree and many more. As the names imply, the sarees can also be categorized and identified with the geographical location in India from which they originated. While the Banarasi silk saree is adorned with ancient Mughal designs, the Kanchipuram version is known for its design that incorporates a strong South Indian influence. The latter is also worn by bridal wear and on occasions of grandeur. Another type of saree worn during special occasions is the Sambalpuri saree that originated from Odisha. The intricate embroidery makes them special and they can be accessorized with terracotta jewelry to complete the look. Different variations of the saree are available on websites like Style Caret. A recent popularity has been gained by Kalamkari sarees. These are sarees which originally had hand-painted designs depicting ancient Hindu mythology, but even printed versions with other designs are also available. They often have depictions of scenes from Hindu mythology. Onam sarees also have a countrywide popularity due to their simple yet sophisticated design. The saree has nothing but a very plain white body and some minimal embroidery. The introduction of the modern-day saree came from the very famous Tagore family. When Rabindranath Tagore’s sister in law visited Bombay, she decided on this new way of wearing the saree that allowed women to come out of their homely confinements without fearing any exposure. This is because her way of wearing the saree involved a jacket or a petticoat to be worn inside the saree. This is still followed by saree wearers of today. 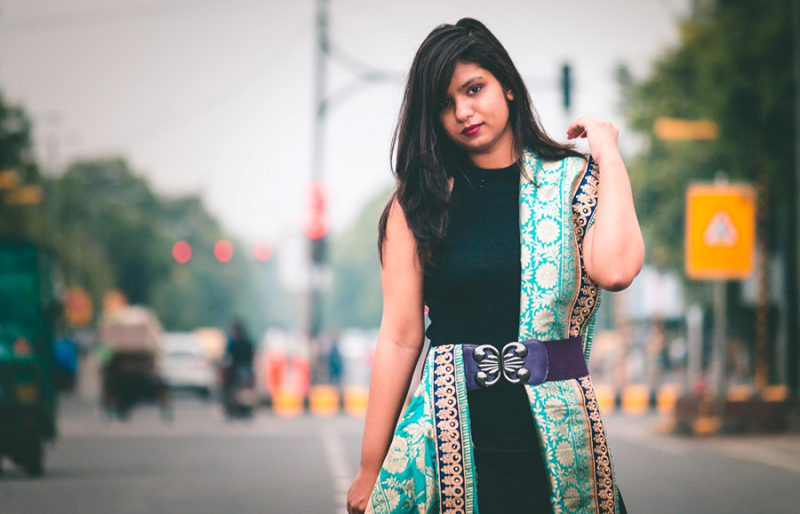 It makes the saree more functional and usable on a daily basis. 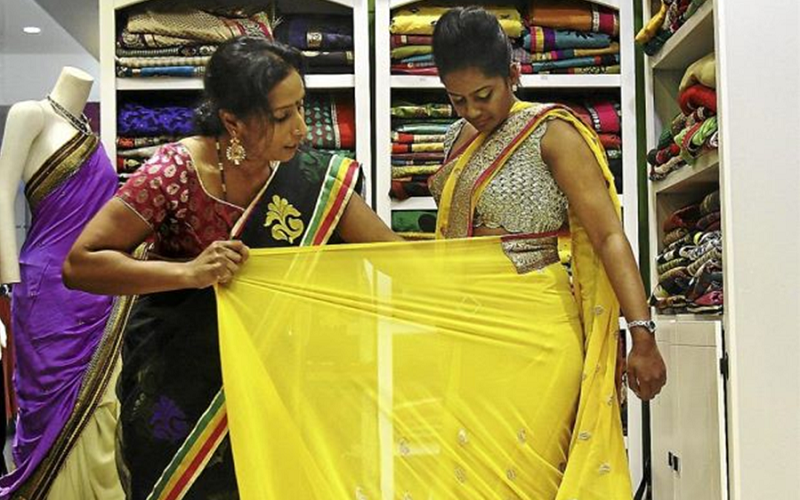 When a saree is bought from a store, it may need some additional tailoring to become wearable. Sometimes the blouse for the saree is attached in the same piece of cloth. Otherwise, this needs to be bought separately. Blouses are the most essential and additional garment for the saree. Without it, the saree cannot be worn and would be incomplete. There are many customization that are possible in selecting the design in which the blouse can be stitched. The color of the blouse may match that of the saree or maybe contrasting. Many tailors have their own special designs cataloged. The blouse could be a conventional square neck design or with a Dori attached at the back. These dori’s are like strings that are tied to secure the blouse and they are also preferred by youngsters because more skin can be revealed in this design. Intricate embroidery work can be done on the blouse material in whatever shape is desired by the individual. Common patterns are of birds, leaves and the very popular Indian mango design. The cost of this additional work would depend on the number of details that need to be added. Other than blouse cloths, ready-made stitched blouses are also available in various sizes and popular colors like silver and gold. The length of the sleeve of the blouse can also be chosen from the options of sleeveless blouses, half-handed blouses and full-handed blouses. The additional features of the blouse such as the customized embroidery are what makes each one unique. For those who have an interest in wearing a saree but do not have knowledge on the procedure of how to drape it, there are many online instructional videos, those specific to the style of draping that we require. They are very useful to those of the current generation, who do not have years of experience in wearing a saree and also to those who do not come from an Indian cultural background but are still intrigued by the art of draping a saree. Other videos also help us choose how to accessorize these sarees. Depending on the material of the saree and also its color, the jewelry that will best compliment it should be chosen to give the most attractive look. Jewelry could range from simple pearl designs to the expensive and traditional gold ones. Gold is a very important metal in the perspective of Indian accessories, it is best accompanied by silk sarees. 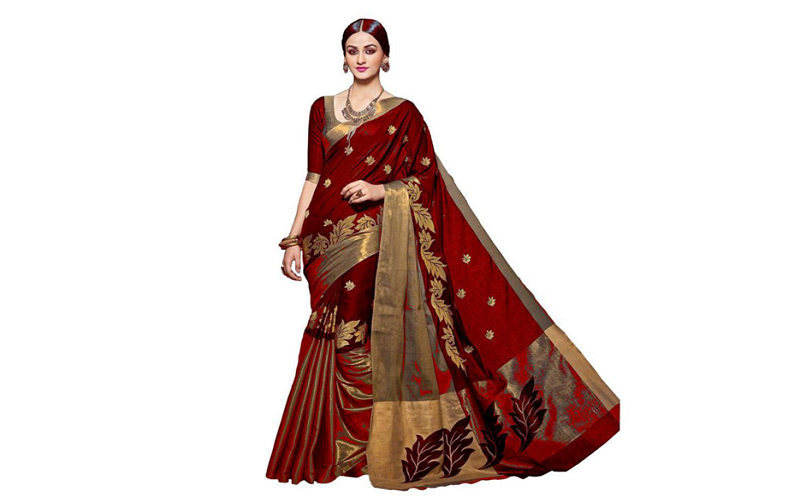 Sarees can also be purchased through online shopping. Sellers like StyleCaret provide various options that are categorized by color, price range and material. Chiffon, Bhagalpuri, Bandhni, Georgette and silk are available. The use of sarees has evolved from something worn by traditional women to that worn by women of all generations. It has become a fashionable status quo for girls who are in their teenage or young adult phases to show their elegance. It makes all women feel more feminine and rooted in their Indian heritage. Sporting a saree for the first time can indeed be a memorable experience and needs to be cherished.